The Jabberwocky is coming, the jaws that bite, the claws that catch! As the date approaches, I get more and more excited. Well, since I am far away, there isn’t much I can do besides crossing fingers in excitement now. I won’t be in London for the launch of the Jabberwocky exhibition on March 13th, 2018, to be held at Espacio Gallery, led by curator Ana Cockerill. Since four of my works will make it there, I believe a little part of me kinda will be there. Since I mentioned Ana, I can’t thank her enough. Really, I wouldn’t be participating if it wasn’t for her efforts and support. She even chose the framing for my work after it arrived in London! 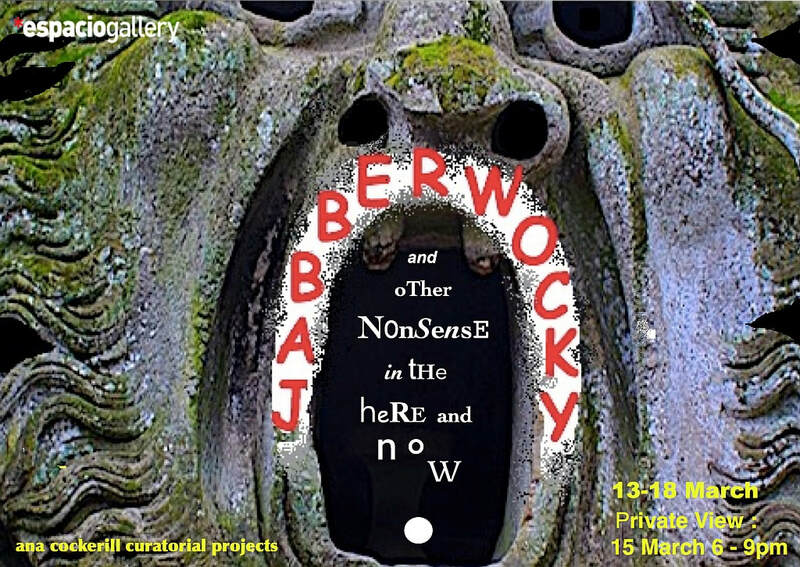 The tagline for the exhibition is “Jabberwocky and other nonsense in the here and now”.